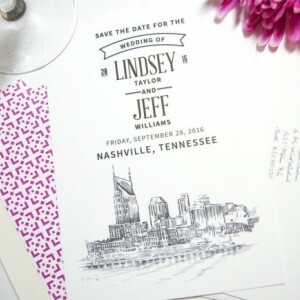 Our exclusive MagicWand stable of artists in residence create hand-drawn ink and watercolor paintings to capture the historical and contemporary beauty of city skylines throughout the U.S. and Canada. 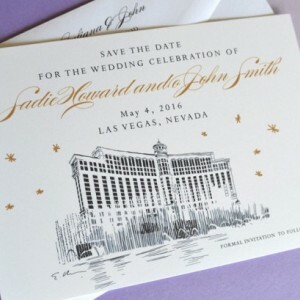 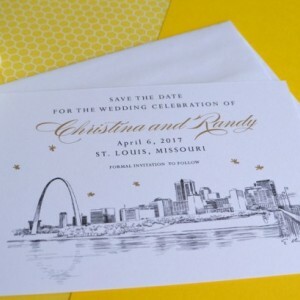 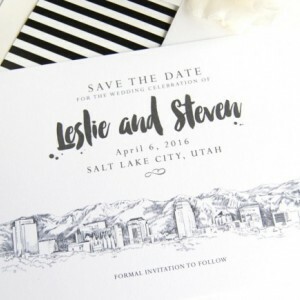 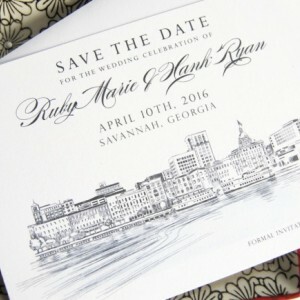 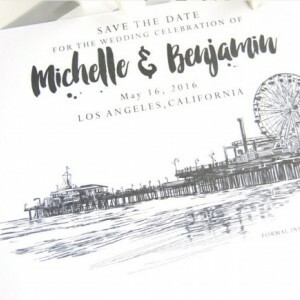 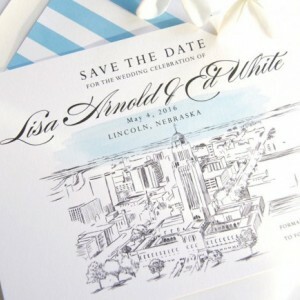 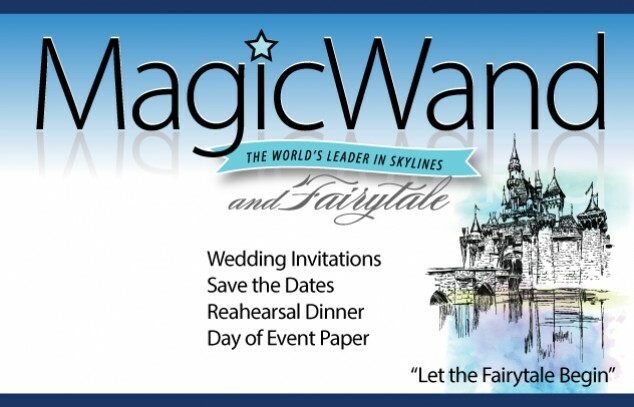 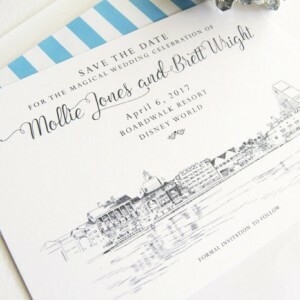 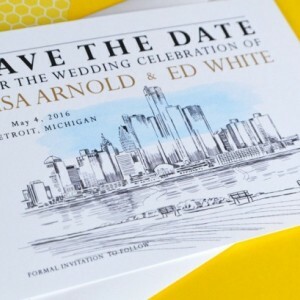 We offer beautiful skyline Save the Dates, Wedding Invitations, Rehearsal Dinner Invitations and Day of Event Paper. 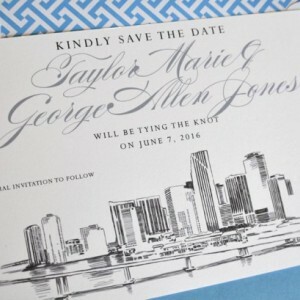 Our much sought after skylines bring a dramatic and sophisticated style that is "wedding worthy" to any event. 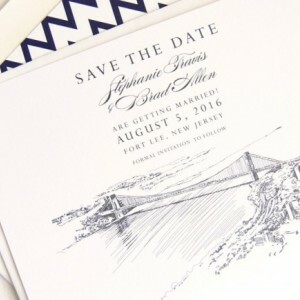 We print on our signature 130# and 160# fine stationery paper. 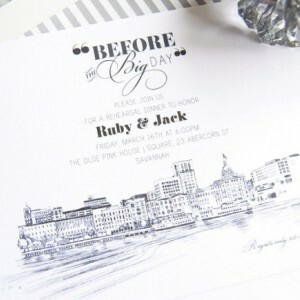 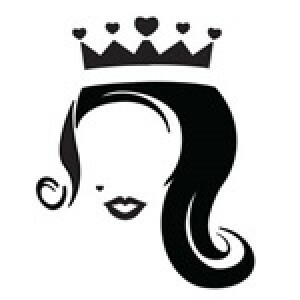 We are happy to offer font changes, custom design request and font color options at no additional charge.